In passionately serving others, we honorably serve ourselves. ESP Development companies is a family of enterprises steeped in zoning, land use, construction, operations, design and innovation. The principals bring a history of successful work with banks and REITs in both union and non-union environments. 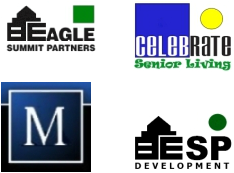 ESP has developed communities in six states. 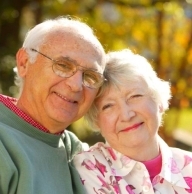 ESP is currently working on state-of-the-art senior living communities for memory care and assisted living. We build the future into everything we do. At every age, live a life worth living! The heart of the matter is the matter of the heart. Even as entrepreneurs, we work for others. Our business is astutely serving others with passion and integrity. We seek to optimize returns while limiting risk within the context of our overall responsibilities. We are long-term investors and developers who know the industry from top to bottom. We strive to maintain a winning network of loyal, like-minded businesses and people. Our reputation, our word, our honor and our work are very important to us. ESP strives to never, never, never think "never" -because we believe the future favors imagination over indifference, and preparation over stagnation. ESP is committed each and every day to making a positive contribution with an unrelenting desire to learn, listen and help our clients live life to the fullest. Everything rises and falls on good relationships.